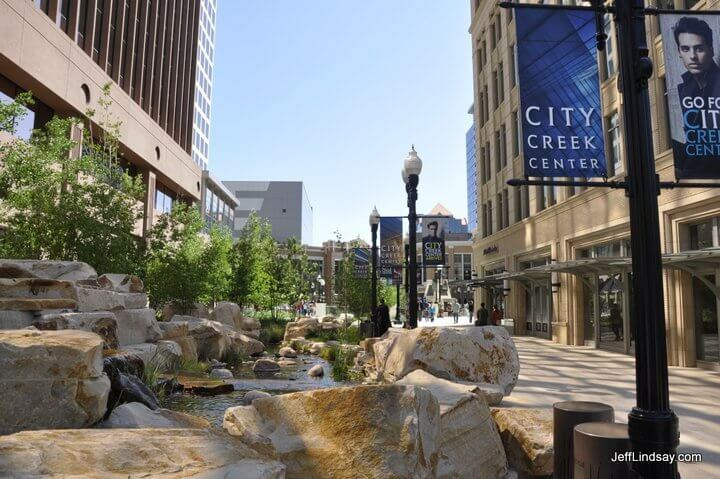 City Creek Mall and downtown Salt Lake City: I visited the controversial City Creek Mall and found a successful, community-minded project benefiting the community and the economy. I was struck by how many people were present and how much fun they were having--and by how many jobs were created. 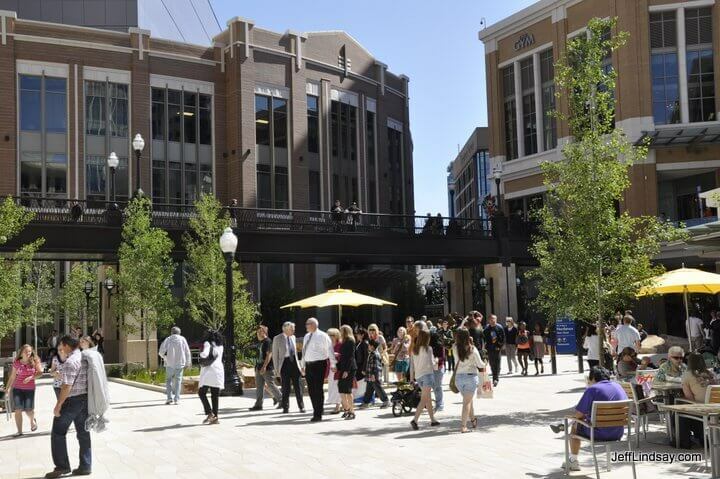 This project was supported by The Church of Jesus Christ of Latter-day Saints to keep the community strong and vibrant in the downtown region where the Church has its headquarters. 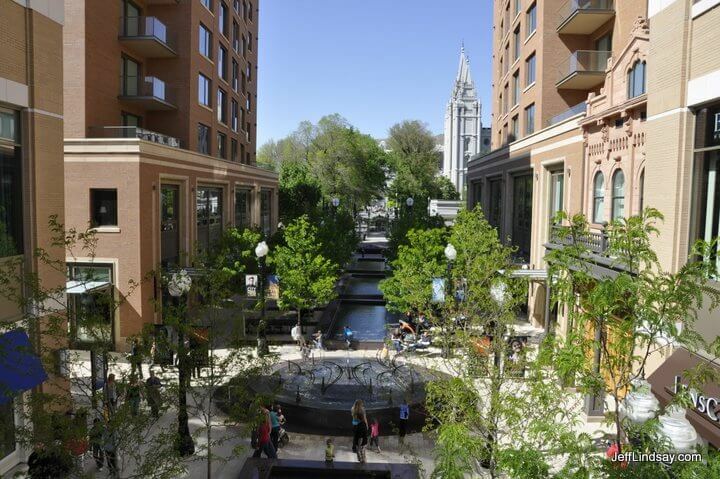 This has done much to restore downtown Salt Lake City to a healthy, vibrant community. Nice move. 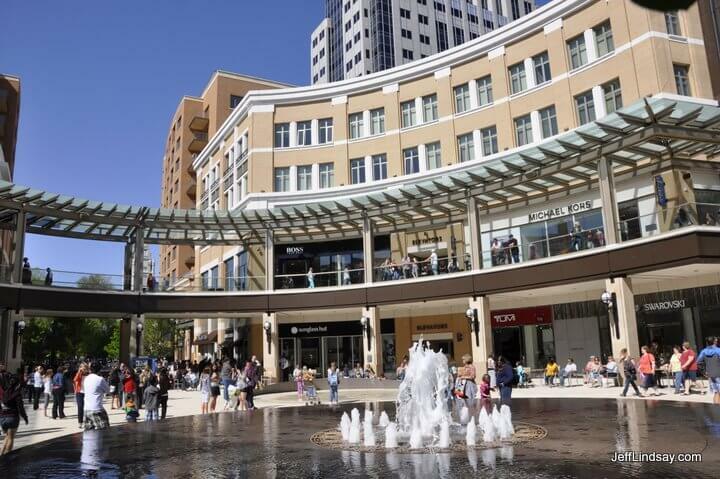 The critics of the Church howl about spending money for a worldly mall, but the vision behind the project is a beautiful way to give back to the community and was done without the use of tithing funds. Makes a lot of sense to me, and to the thousands of people positively affected by this beautiful facility. Some people have seriously erred in their criticism of the Church for its role in this remarkable project. 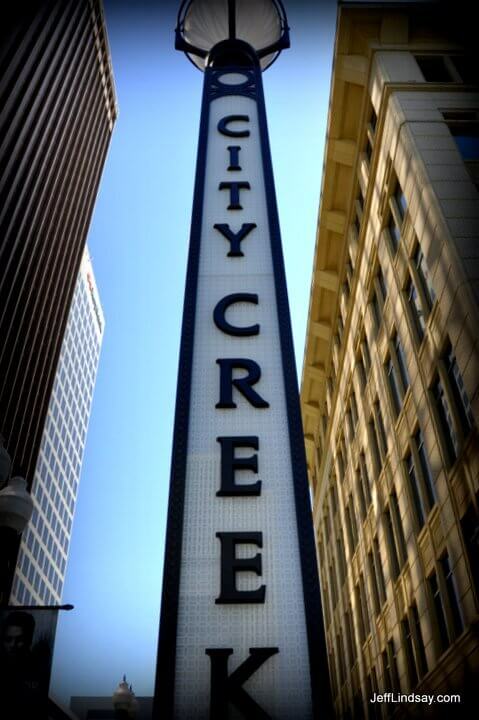 THey need to get out more often to, uh, the City Creek Mall! At one of the entrances to City Creek Mall. 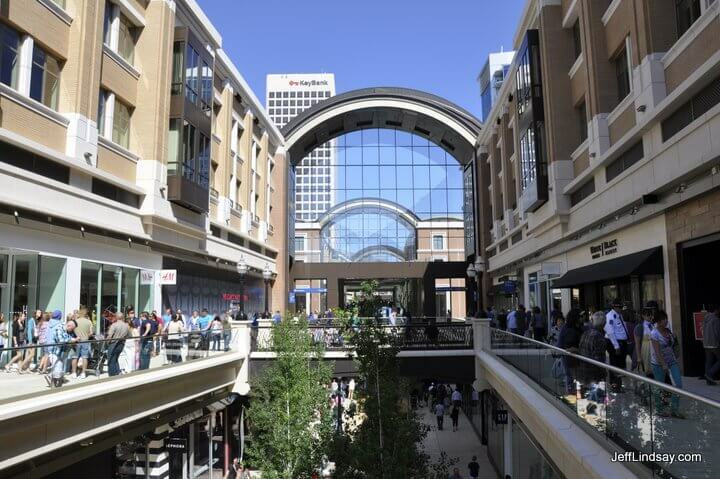 The arches in the central promenade of City Creek house a retractable roof that can extend over the central walkways of this beautiful mall, making it pleasant when there is rain or snow. Now it's sunny so the roof is retracted. 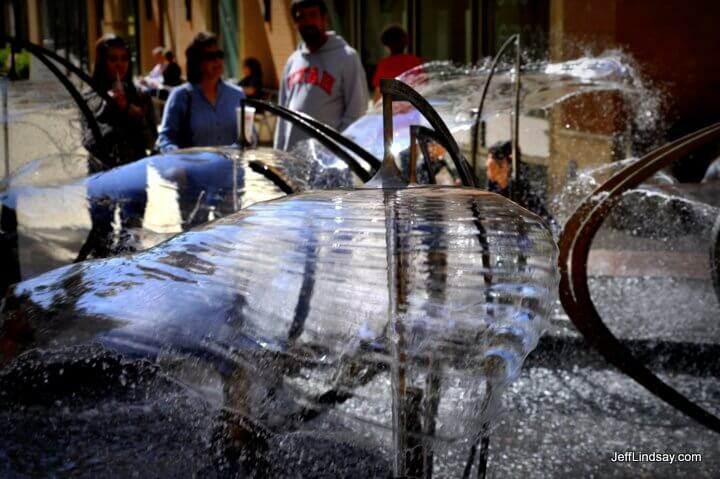 Cool engineering! Such a beautiful place. 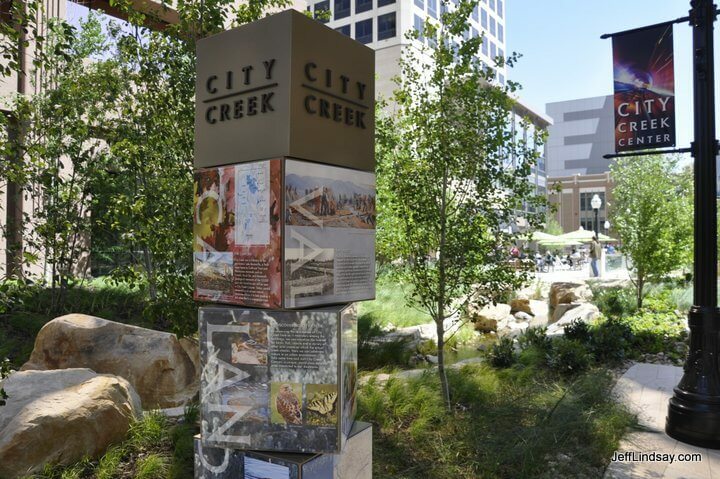 A central courtyard at City Creek Mall with stone guiding the flow of the creek. 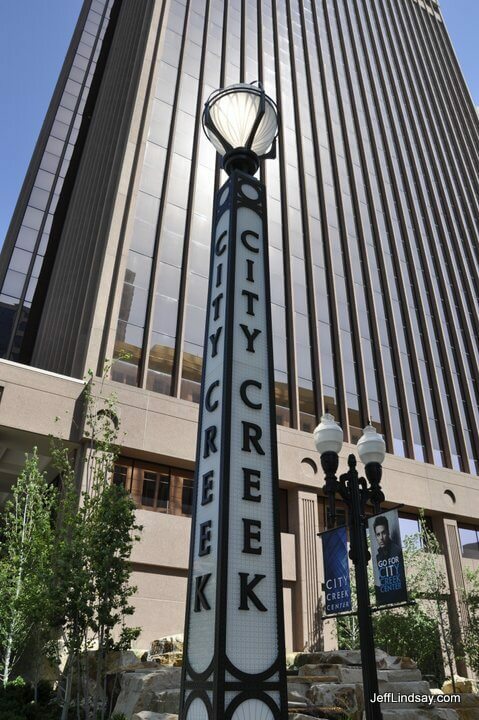 Another view of an entrance to City Creek Mall. 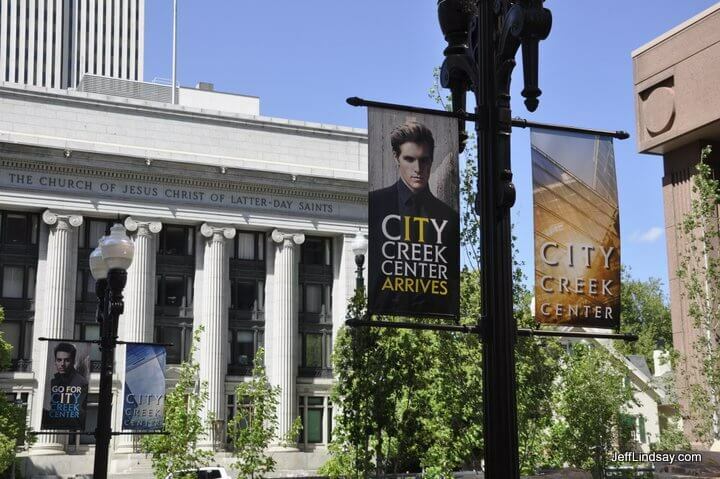 City Creek Mall is right across the street from the original LDS Church Office Building. 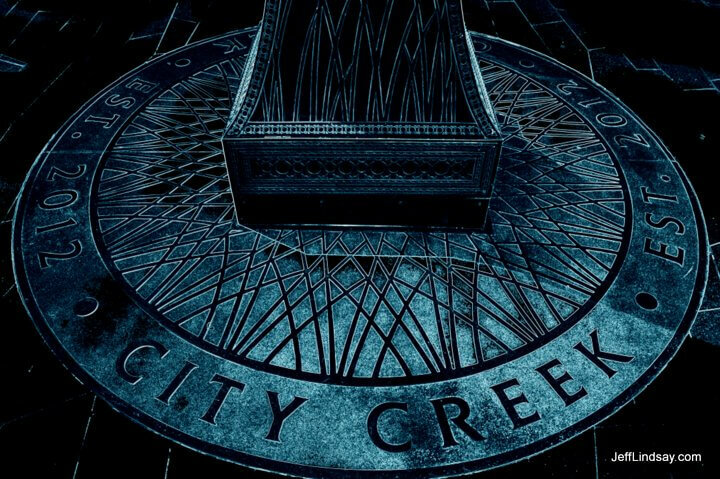 Rotating display blocks convey interesting information about the City Creek Mall area and City Creek itself. 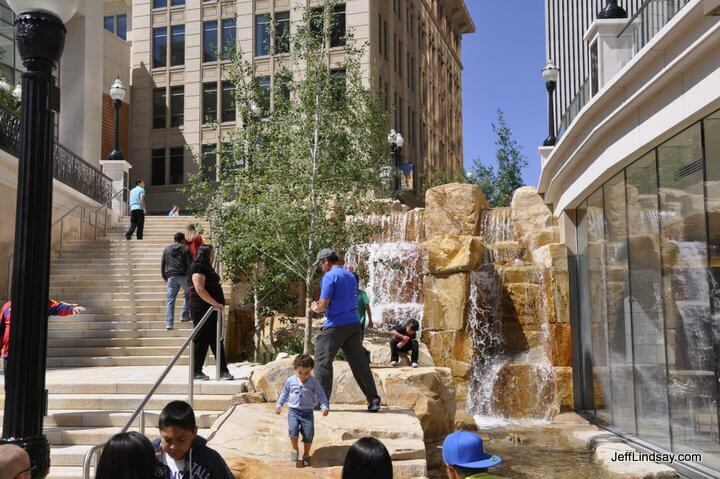 Fountains in an open plaza area add to the interest and beauty of the City Creek facility. 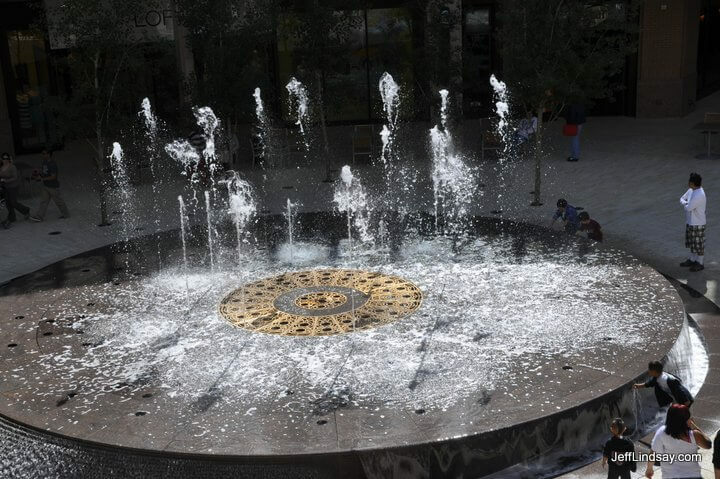 One of the fountains at City Creek Mall. Another fountain at City Creek. A promenade at City Creek Mall with the Mormon Temple visible in the background. 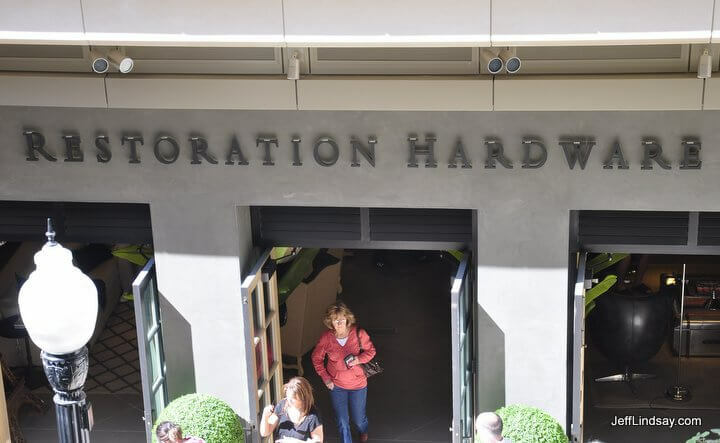 Restoration Hardware: What a great name for a mall in the shadow of the LDS Church, which is all about "The Restoration" (of the Gospel of Jesus Christ). 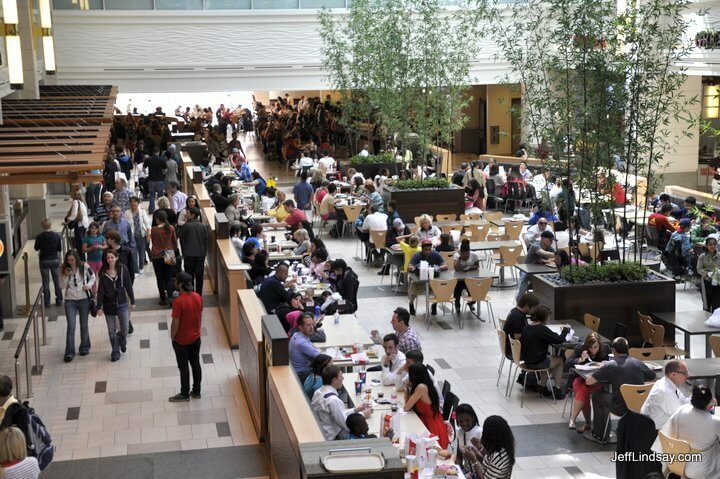 The indoor food court at City Creek Mall. 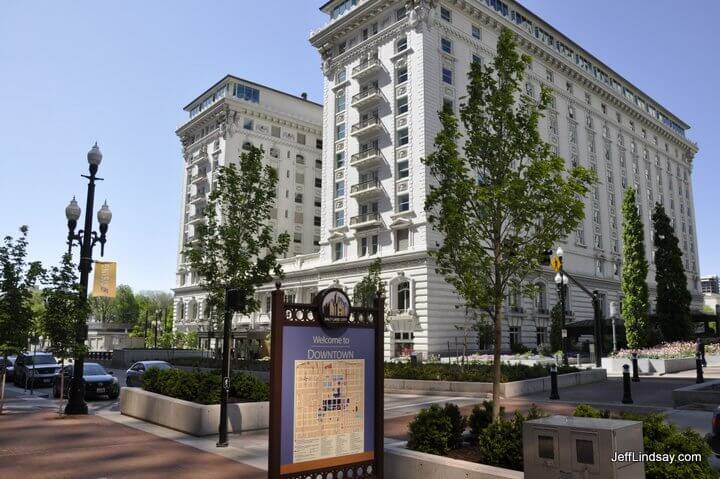 The Joseph Smith Building near Temple Square, as viewed from City Creek Mall. The foot of a street light at City Creek Mall (colors modified for effect). Welcome to City Creek Mall. 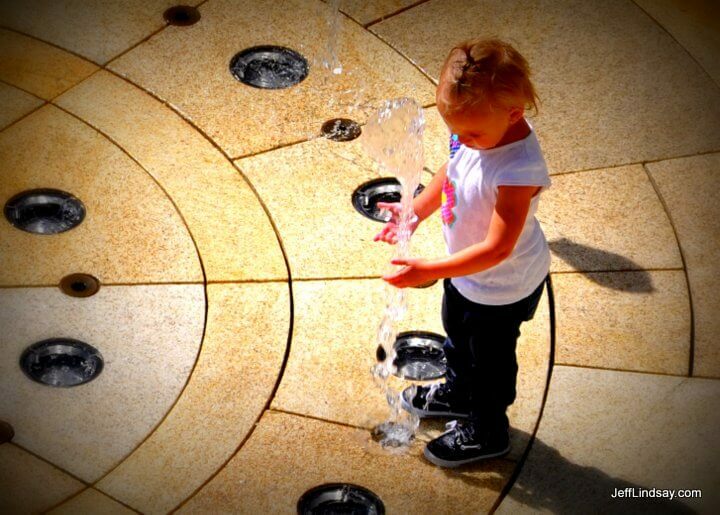 A young water worker works miracles at a fountain at City Creek Mall. 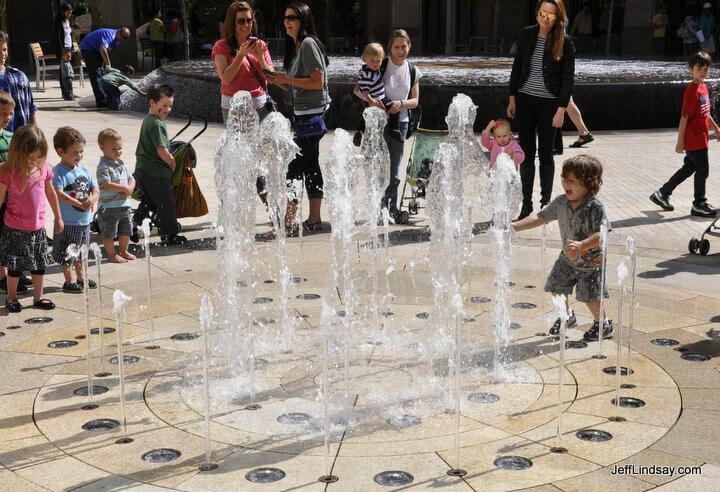 There are some very intriguing water sculptures at City Creek, where fountains provide unique shapes that change and shift in the wind and as water flow changes. 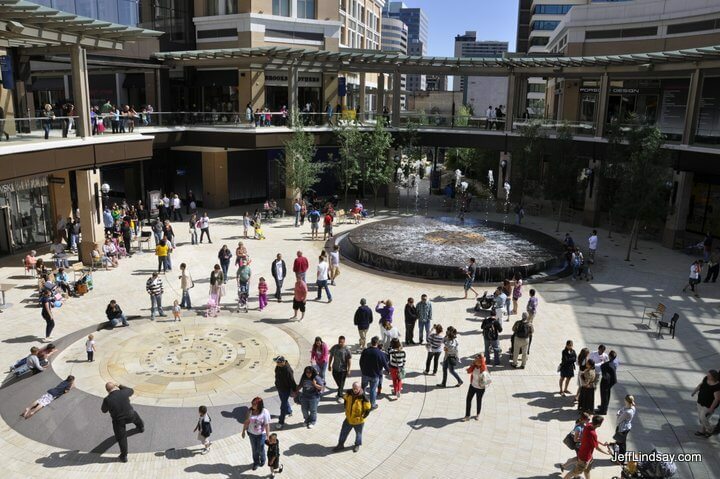 A central court at City Creek Mall. 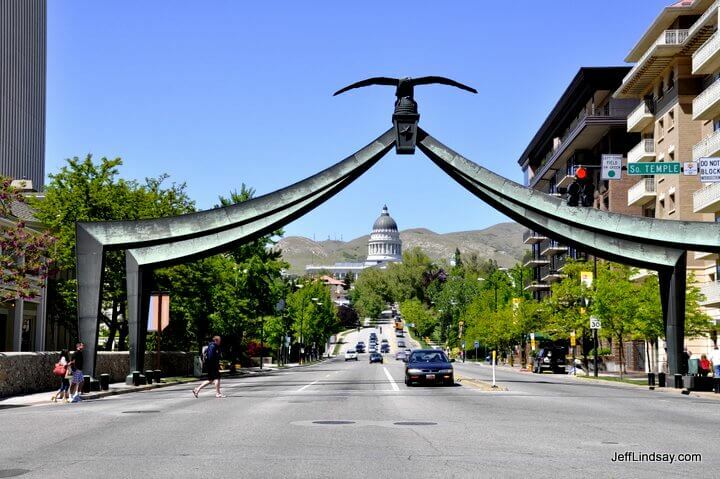 Seagull Monument with the Utah State Capital in the background is on a corner where City Creek Mall begins. Another fountain scene at City Creek Mall. 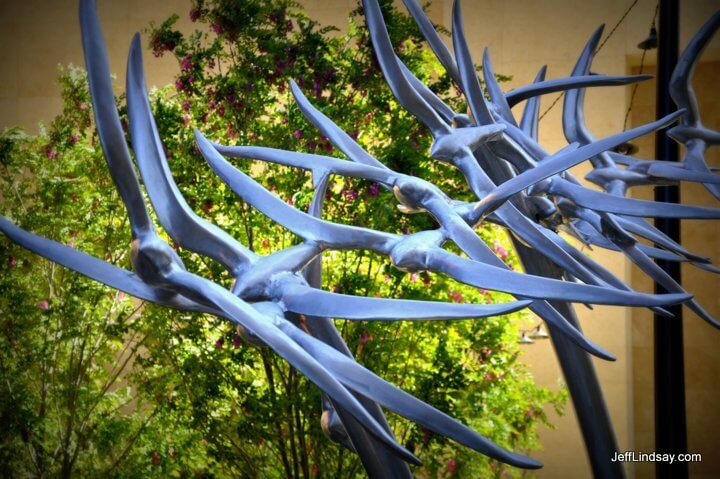 A seagull sculpture at an entrance to City Creek Mall. 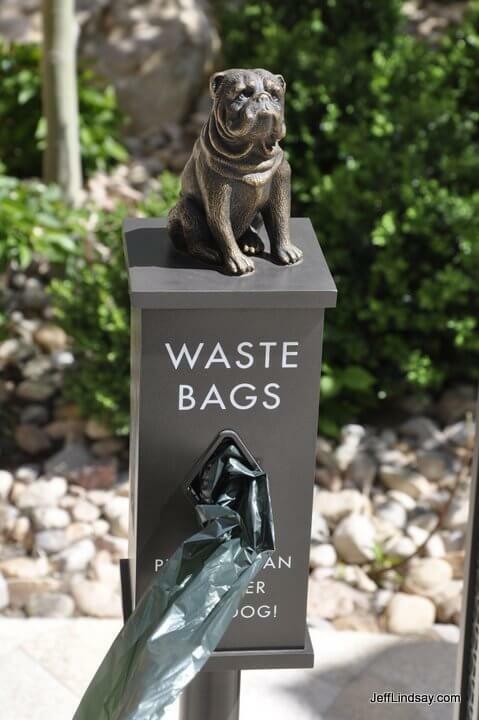 A waste bag dispenser at City Creek Mall. Talk about offering all the conveniences of life! All photos are copyright ©Jeff Lindsay, 2008-2011, and are the property of Planet Lindsay, LLC. Please request permission before using photos for any purpose.